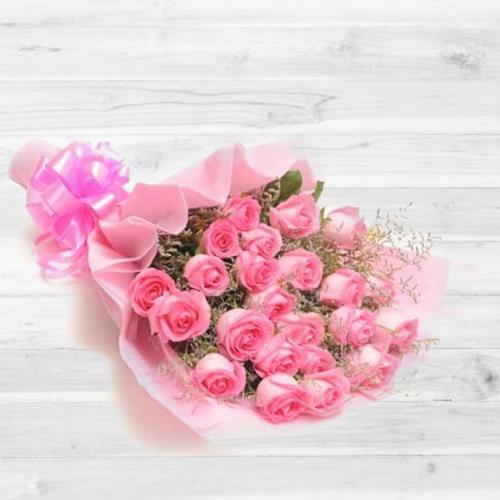 Merge your love with this Modern Heartfelt Sentiments Bouquet of 30 Peach/Pink Roses and send it to your dearest ones. Beautiful Bouquet of 30 Peach / Pink Roses and Assorted Cadburys Chocolate. Beautiful Bouquet of 30 Peach / Pink Roses with 500 grms Assorted Sweets. Beautiful Bouquet of 30 Peach / Pink Roses and Three Colourful Balloons with Teddy Bear. Beautiful Bouquet of 30 Peach / Pink Roses with 16 pcs Ferrero Rocher chocolate box.